Learn more about taking your business paperless! 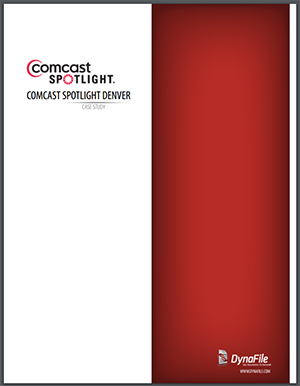 Download free paperless guides, white papers, case studies and more. Looking for some more info on going paperless? Below you will find a variety of free downloadable guides, white papers, case studies and more. This information is designed to give you a better idea of how companies utilize DynaFile within their organization and to help your business make a smooth transition to a paperless office. Please click the button next to the resources you are interested in to receive a free copy. Visit our Paperless Blog to pick up more tricks and tips or contact us today to see DynaFile in action. Interested in taking your HR department paperless? 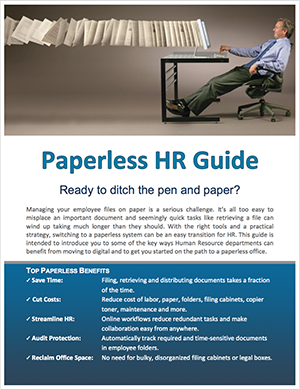 This free Paperless HR Guide can get your team started. "Managing your employee files on paper is a serious challenge. It’s all too easy to misplace an important document and seemingly quick tasks like retrieving a file can wind up taking much longer than they should. With the right tools and a practical strategy, switching to a paperless system can be an easy transition for HR. 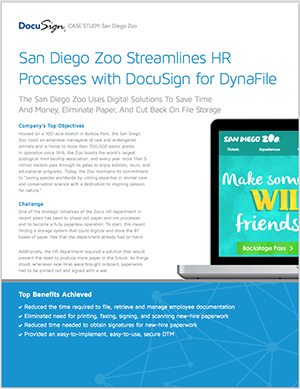 This guide is intended to introduce you to some of the key ways Human Resource departments can benefit from moving to digital and to get you started on the path to a paperless office.​"
The San Diego Zoo uses DynaFile and DocuSign in their Human Resources department to save time and money, eliminate paper, and cut back on file storage. "On paper alone the cost savings is in the thousands and possibly the hundreds of thousands when all is said and done. Our goal is to share DocuSign and DynaFile Zoo-wide — to lead the way in making our Zoo a totally digital operation." What is SaaS? What is cloud document management and what are the benefits of switching to a cloud-based filing system? "Cloud document management enables companies to store and retrieve files on the web without having to install any software programs. In the past, IT departments spent most of their time developing and managing a network data center and infrastructure to store and process electronic files. Today, SaaS providers deliver more functionality in a simpler and less expensive package that doesn't require the rigorous space, labor and cost of an in-house operation." 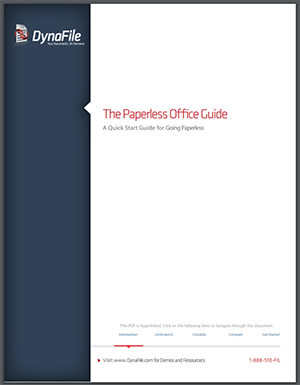 A quick start guide to going paperless. 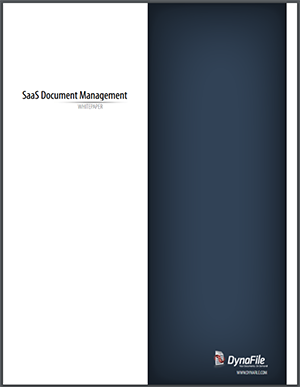 "The management and storage of documents and information is critical to any business. A paperless filing system should house all documentation involved with daily operations as well as serve as a tool for prospecting, sales and compliance audits. In other words, don’t just go paperless, but make your paperless office work for you. Your paperless office solution should do everything to fill the gaps and maximize resources in your business." An overview of HIPAA compliance features. HIPAA compliance is an important factor to consider when storing documents that contain protected information. This is especially critical for HR teams and companies in the healthcare industry. 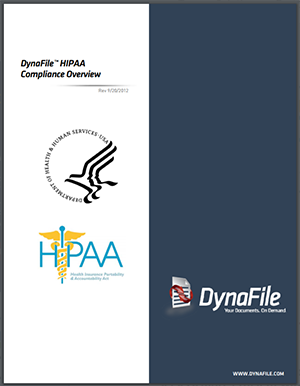 Learn about HIPAA compliance requirements for managing protected information and how DynaFile addresses them from the software level all the way down to the data center. Leading national cable and internet provider seeks a more efficient way to manage files for their local advertising division. "DynaFile has improved our productivity by over 50%; Eliminating the time required to retrieve documents and allowing each employee to have greater accuracy." On paper alone the cost savings is in the thousands and possibly the hundreds of thousands when all is said and done.